During the fifteen and sixtes, the Bossa Nova provided the soundtrack to life in Brazil and was the music that was played everywhere from houses and hotels to beachside cafes. However, by late 1968 the Bossa Nova no longer seemed the perfect soundtrack to life in Brazil. The Fifth Institutional Act essentially gave President dictatorial powers, that allowed him dissolve Congress and state legislatures, suspend the constitution and imposed censorship. This was a worrying time for the people of Brazil. On August ’31st’ 1969 Artur da Costa e Silva suffered a stroke, and usually the Vice-President would assume control. That didn’t happen and all-state power was assumed by the military joint,command, who later chose General Emílio Garrastazu Médici as the new President. He was responsible for overseeing a regime that sponsored the greatest human rights abuses of that period. His government persecuted and tortured dissidents, harassed local and censored the free press. Emílio Garrastazu Médici’s government ruled with an iron fist and were responsible for some of worst human right’s abuses anywhere in the world. To make the plight of the Brazilian people worse, the official minimum wage of the Brazilian workforce was slashed to just a meagre US$40/month. Nearly one-third of the entire Brazilian workforce watched as they lost nearly 50% of its purchasing power and was down the to level of 1960 under the presidency of Juscelino Kubitschek. In October 1969, a new constitution was in place, and many were torn between staying and beginning a new life overseas. However, within a year Brazil was changing. Brazil won the soccer World Cup in 1970, and federal, state, and municipal elections were held. Most of the seats were won by the Arena candidates, during what was a new start for the Brazilian people. By 1973, electoral college was created and in January 1974 General Ernesto Geisel was elected to be the next President. Having signed to RCA Victor,Burnier and Cartier began writing their debut album. 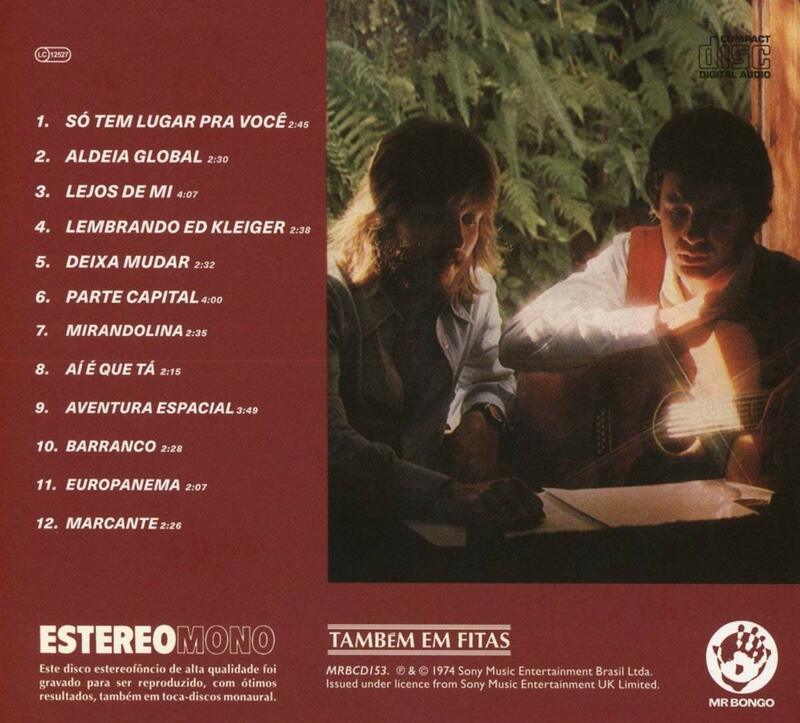 Claudio Cartier and Octavio Burnier penned Só Tem Lugar Pra Você, Parte Capital and Marcante.Cláudio Cartier wrote Aldeia Global and Octavio Burnier contributed Lembrando Ed Kleiger, Deixa Mudar, Mirandolina and Europanema. Octavio Burnier penned Octavio Burnier with Luiz Bonfá, Ai É Que Tá with van Wrigg and Barranco with Gustavo Strunck. These twelve tracks became Burnier and Cartier. 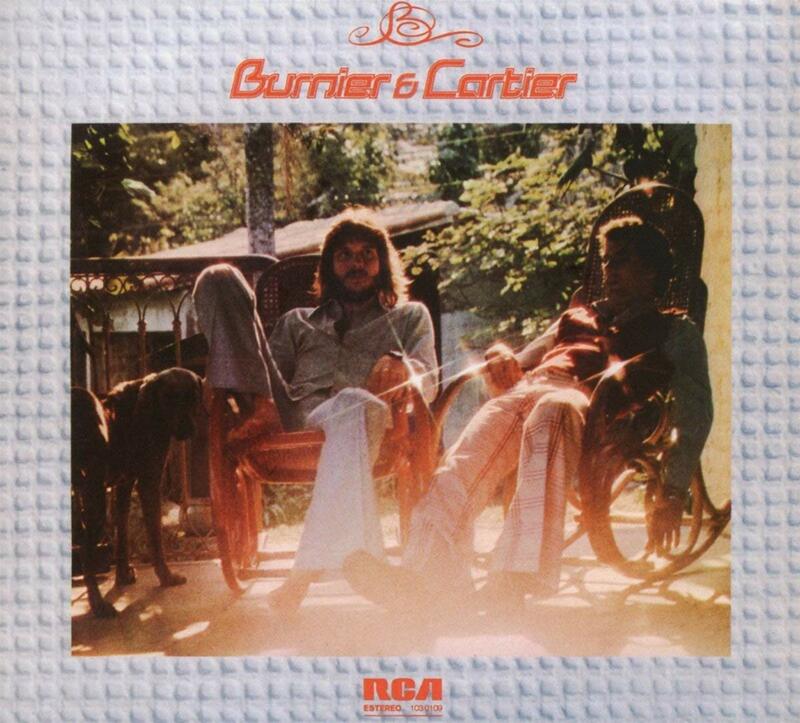 Burnier and Cartier was a released to critical acclaim and hailed as a genre-melting album which switched between, and fused boogie, disco funk, jazz, Latin and MFB. This new sound represented the new Brazil that was taking shape as 1974 dawned. Nowadays, Burnier and Cartier, is regarded as their finest hour, and a cult classic from what was an important new musical beginning in Brazil. ← SHINA WILLIAMS AND HIS AFRICAN PERCUSSIONISTS-AFRICAN DANCES.